If you happen to pickup People Magazine's new issue — hitting newsstands on Friday — just know this: Jennifer Garner does not approve of it. Seen smiling on the cover along with the headline "Life After Heartbreak," it might appear as though the 45-year-old actress willingly posed for the magazine and perhaps even gave a candid interview following her breakup with husband Ben Affleck. Think again. "I did not pose for this cover," said Garner in a Facebook post on Wednesday. "I did not participate in or authorize this article," she added. People's report cites an insider who claims that Garner's decision to file for divorce from Affleck was "the most difficult decision for her" and their three children — Violet, 11, Seraphina, 8, and Samuel, 5. 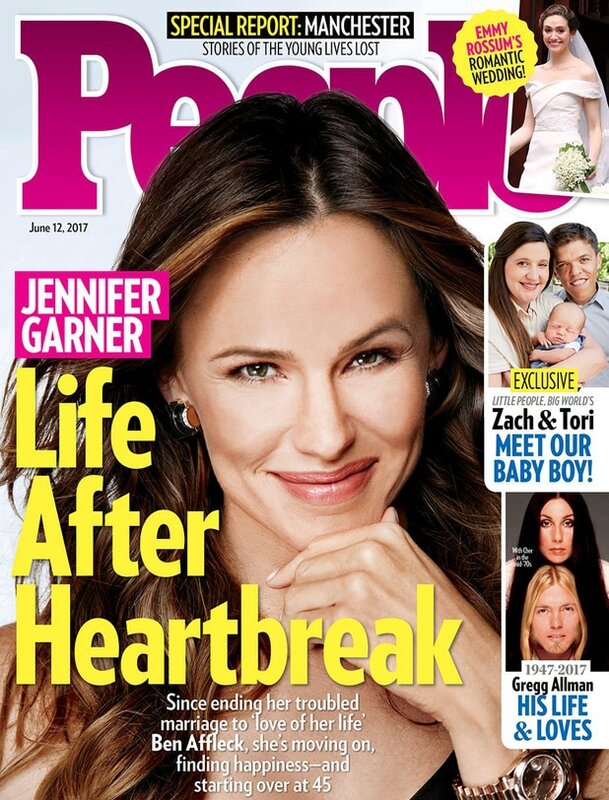 The magazine story goes on to say that Garner isn't ready to date because "Ben was the love of her life." While Garner didn't refute those claims outright, she did say Wednesday in reaction to the article that while "this isn't a tragedy by any measure... I wanted to set the record straight." She went on to say that the People article was produced without her consent, ending her note with "I have three wonderful kids and my family is complete. Have a beautiful day, Love, Jen." Garner and Affleck's divorce papers, filed on April 13 this year and obtained by TheWrap, cite "irreconcilable differences." The couple is seeking joint custody of their children. Affleck and Garner, who married in June 2006, announced their split in 2015. In a joint statement at the time, the couple said, "After much thought and careful consideration, we have made the difficult decision to divorce. We go forward with love and friendship for one another and a commitment to co-parenting our children whose privacy we ask to be respected during this difficult time. This will be our only comment on this private, family matter. Thank you for understanding." The couple appears to have remained on friendly grounds since the split. In March, while announcing that he had completed treatment for alcohol addiction, Affleck cited Garner's support. "I'm lucky to have the love of my family and friends, including my co-parent, Jen, who has supported me and cared for our kids as I've done the work I set out to do," Affleck wrote. "This was the first of many steps being taken towards a positive recovery." Tim Kenneally and Pamela Chelin contributed to this report.